Costa Rica is a treat for active and adventure travelers of all levels, with easy-to-difficult hiking trails, canoeing and kayaking, whitewater rafting, and more. Thrill-seekers flock to the country’s canopy ziplines, waterfall rappelling, parasailing, and other high-intensity fun. Corcovado’s rushing rivers and rustic, rugged terrain promise endless options for active travelers. The park itself is not accessible by car, most visitors arrive by air but you can hike (or horseback-ride) in–a trek that can take up to 15 hours. Canoes can be rented within the park, but availability is very limited. Rincón de la Vieja is another rugged destination, as wild as almost anywhere on Earth. Active travelers will enjoy horseback-riding to the park’s entrance, then hiking throughout the park’s rustic trails, which wind past boiling mud pots, small craters, fumaroles, and hot springs. Monteverde’s dense cloud forests are the ideal setting for active adventures, with approximately eight miles of hiking trails that snake through the reserve. Outside the reserve, this is an adventure playground of hanging bridges, canopy tours, horseback riding, and more. Tip: be sure to book a night hike. Quepos and Manuel Antonio are an active travel haven on land and by sea, with hiking trails, mangrove kayaking, whitewater rafting, tree-climbing, and snorkeling, as well as adventure activities like parasailing, waverunners, ATV tours, and banana boats. 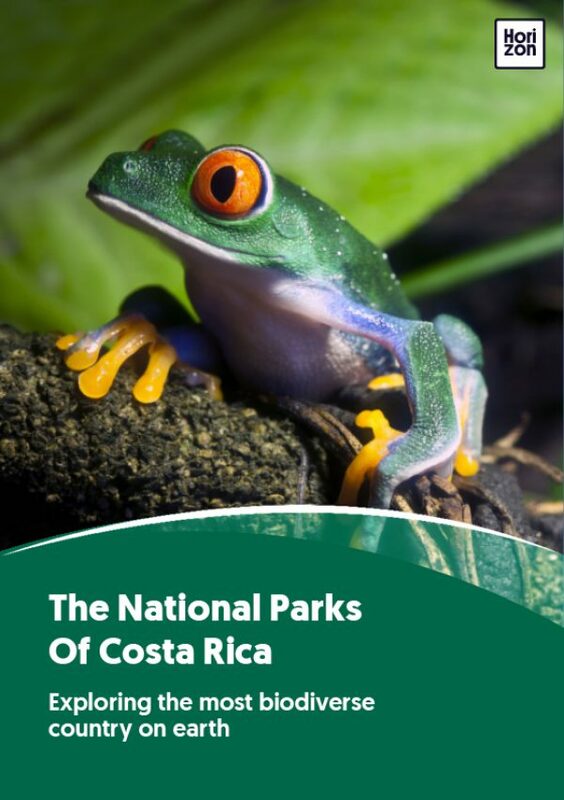 Known as the adventure capital of Costa Rica, La Fortuna (also called Arenal, after the nearby volcano) offers a full host of adrenaline-fueled activities: caving, ATV tours, hiking, ziplines, horseback riding, kayaking, whitewater rafting, mountain biking, sport fishing, waterfall rappelling, and more.